This is the title of one of the most important religious books in the world, occupying, in the literature of the Higher Buddhism, a place not dissimilar to that of our own New Testament. 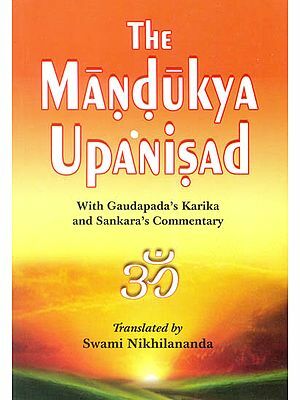 Its importance is increased when one considers that it formulates the fundamental doctrines of the Mahayana School, and was written by Ashvaghosha, one of the greatest poets of India, during the early part of the first century AD-a period when communication between East and West was reasonably frequent and extensive. Not only have Buddhist sages considered it of the utmost worth-it has also been counted one of the five most valuable Buddhist scriptures by eminent Western scholars, and has been quoted and praised by such writers as Aldous Huxley, Dr. E. Y. Evans-Wentz (in his monumental Tibetan series published by the Oxford University press), E. A. Burtt (Sage Professor of Philosophy at Cornell University), Christmas Humphreys, Maurice Percheron, Dr. Edward Conze, and others. Should we decide to estimate the value of books by the number of those adhering to the doctrines expounded therein, the, after the Bible, the Quran, the Confucian Classics, and the Vedas, this volume ranks not only as one of the five most important books of Mahayana Buddhism, but fifth among the sacred books of the world. Much published work offers material for a study of the apparently common ground of Buddhism and Christianity, but few shed greater light than this reasonably short work by the first and finest full-length biographer of Gautama the Buddha. Dr. Timothy Richard, the translator of the work, was born in a small Welsh village in 1845. An excellent linguist, he won the prize for Hebrew early in his student days, and during 1868, while still at college, determined to visit China. Most of his life was spent working in that country, and he was deeply loved by al, from the meanest peasant to the Dowager-Empress herself. He died in 1919. His work has received the praise of eminent critics and scholars. Should we decided to estimate the value of books by the number of those adhering to the doctrines expounded therein, then, after the Bible, the Quran, the Confucian Classics, and the Vedas, this volume ranks not only as one of the five most important books of Mahayana Buddhism, but fifth among the sacred books of the world. Dr. Timothy Richard, the translator of the work, was born in a small Welsh village in 1845. An excellent linguist, he won the prize for Hebrew early in his student days, and during 1868, while still at college, determined to visit China. Most of his life was spent working in that country, and he was deeply loved by all, from the meanest peasant to the Dowager-Empress herself. He died in 1919. His work has received the praise of eminent critics and scholars. The enormous literature of Mahayana Buddhism is still very poorly represented in English translations, and most of such translations as have been made are now out of print or inaccessibly buried in learned journals. The publishers of this new edition of the Richard version of The Awakening of Faith are to be congratulated on their enterprise in making available once more this important Mahayana text.